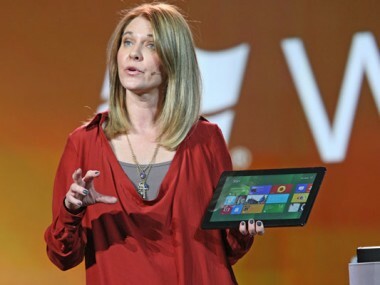 After months of rumors, Microsoft on Monday confirmed that it is readying an update to Windows 8 for later this year. Code-named Windows Blue, the update will enable Windows to run on a wider range of devices (read: smaller-screen tablets). In a blog post, Microsoft said the update will also respond to some criticisms of Windows 8 and Windows RT, but the company didn’t go into specifics. In the blog post, Microsoft also said that it has now sold more than 100 million licenses for Windows 8. And, despite the criticism, Reller said that Microsoft remains pleased with the operating system. Microsoft billed Windows 8 as a “no compromise” operating system that would pave the way for devices that could offer all the benefits of both a PC and a mobile device. Hybrid designs allow for devices that act as both tablet and laptop, either through a flip of a swivel, a twist of the screen or the addition of a keyboard. However, critics have said that the reality of Windows 8 has fallen short of its goal amid a lack of top-tier apps and devices that often force a choice of either limited battery life or limited compatibility with older Windows software. PC sales have also not seen a hoped-for bump from Windows 8, as electronics buyers continue to spend money in other categories. For her part, Reller noted that the number of apps in the Windows 8 storefront is now six times what it was at launch, and rejected the idea that the PC is past its prime.